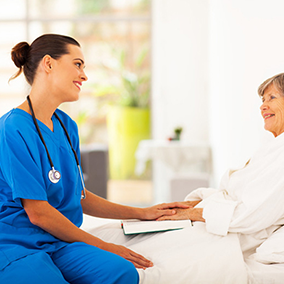 Rounding is a proven best-practice that increases patient safety and satisfaction. However, many patient rounding tools are inefficient and cumbersome. PatientTouch® offers an effective way to complete and document rounds in one, easy-to-use iPhone app. If you are looking to eliminate common barriers, improve quality of care, tailor rounding activities to meet your organization’s needs, and/or monitor progress and measure outcomes for even better results, then you should experience the PatientTouch difference! Download and read this “PatientTouch Rounding” data sheet today.